Helping with your healthcare after you leave us is a big part of our service, too. Our focus on our patients doesn’t end after you and your child go home.Once your child’s treatment is completed in the hospital, he will be discharged. Be sure to confirm the discharge day with the doctor before sharing the news with your child. This will help avoid disappointment if the discharge day has to be delayed. Before discharge occurs, your child’s doctor will talk to you about follow-up care and future doctor’s appointments. The nurse will also give you home care instructions. What is my child’s current medicine list? Do I need any information for newly prescribed medicines? When can my child return to school or childcare? Can my child take part in sports or physical activities? Be sure to arrange transportation home for you and your child. Also, remember to bring clothes for your child to wear home, as well as a suitcase or shopping bag for other items. Each unit manages discharge differently, so please ask your child’s nurse how to check out of the hospital. Some Children’s patients are assigned a nurse case manager while they are in the hospital. A nurse case manager works with your child’s doctors and nurses to help provide a smooth stay while in the hospital and an easier time returning home. They also may help you, your child and your child’s care team decide what resources are needed when your child is discharged from the hospital to meet his ongoing needs. Bring together the right people from different hospital departments to manage your child’s care (ex: pharmacy, school nurses). Work with your child’s medical team to improve care. Talk to home health and insurance companies. Coordinate with community resources for your child’s home healthcare needs. Work with your nurse to create a home care plan called an “After Visit Summary” to list out planned services needed. Help you learn about home health agencies that can provide care for your child (if home care is needed). Arrange equipment, medicine and other care when your child is sent home. Speak to your child’s nurse case manager for other questions you may have about your child’s care. Your child will have adjustments to make to life after the hospital. These include medicine and possibly other treatment regimens, as well as figuring out how to resume a normal routine after being away from home. Your child may require continued care at home beyond what you can provide. Federal law HR 2543 requires that hospitals inform patients and families of home health agencies that may be available to offer home health services for their child. A case manager will help you in planning your child’s care at home and finding out which home health agencies are included in your medical coverage. Children’s case managers can help school-age children (5 to 18 years of age) and their families with school re-entry needs. We know that the parents of our patients can bring unique insights to the care we provide. Children’s is tapping into this resource with its Family Advisory Council (FAC), a collaborative venture with parents that gives them a formal opportunity to help us enhance our caregiving efforts. Made up of parents of Children's patients—both past and present—as well as staff members from various divisions of our hospital, FAC provides us with an invaluable patient/family perspective on our care. The council meets regularly to help guide Children's on a variety of topics—from hospital parking and patient billing to hospital services, procedures and amenities. FAC members serve for at least two years, attend bimonthly daytime meetings and carry out requests as needed. Thank you for your interest in the Youth Advisory Council. We look forward to having you join us for the 2018-2019 school year, where you can help build upon our mission and vision. Applications are now open, and will close on August 1, 2018. Applicant must be 13-17 years old (must be at least 13 years old at the time they apply). Must be a patient or sibling of a patient (required to have some type of experience with Children’s). One letter of recommendation must be emailed to Roni.Mintz@choa.org. Cannot be a family member (approved reference can be a teacher, coach, medical staff, employer, religious leader, etc). Must commit one school year to the council and must attend four meetings in the year. Must be willing to contribute ideas and verbally communicate in a team atmosphere. Speak with staff about their personal experience at Children's. May volunteer at Children’s events. 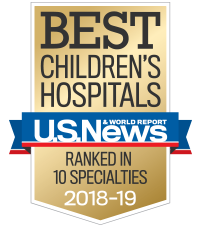 Offer feedback on future projects and hospital programs at Children’s. Discuss issues that are important to children and teens while at Children’s. Complete the online application by August 1, 2018. Find 1 person to submit a letter of recommendation on your behalf. This needs to be sent to Roni.Mintz@choa.org by August 1. Must submit consent form signed by legal guardian and references by August 1. The Family Advisory sub-committee will review and process applications. Final candidate interviews will be held at Children's Office Park. Final candidates will be notified of their interview date and time via email. All candidates will be notified of acceptance decision via email by September 1, 2018. Camping is an experience that all children should be able to enjoy, which is why Children’s collaborates with organizations like Camp Twin Lakes to make camping happen for seriously ill and disabled children. We have several camps where many of our patients with certain medical conditions can go after they leave the hospital to have fun, build confidence and meet other kids with similar conditions.